JUST IN TIME FOR CHRISTMAS, AND THE CRAZY CHRISTMAS WISH LISTS.. MOM’S AND DAD’S FREE HEADACHE MEDICINE! 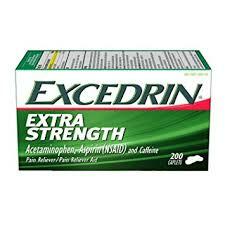 NOW THROUGH SATURDAY SHOP RITE HAS EXCEDRIN ON SALE FOR $3.89 EACH…. BUY 1 FOR $3.89 EACH USE (1) $2/1 DIGITAL AND (1) $2/1 COUPON FROM 12/9/18 RMN PAY $0.00 OOP!!!! SCORE 1 FREE!!! ← NIVEA LIP BALM JUST $0.50 EACH!! !